Succession is an area of the law which has practical consequences for us all. It affects everyone because we all eventually leave this world and things such as our property and debt must pass to someone. In terms of the law, when someone dies, their estate is inherited either by someone they choose (a beneficiary), or, if they did not choose a beneficiary, by whoever the law says should inherit. If someone dies and no relatives can be found, then, in rare circumstances, the Crown can inherit as a last resort. Sometimes, the deceased person will have detailed in a will how they would like their estate distributed. It is estimated that little over a third of Scots have a will. People make wills for a variety of reasons but mainly because they either want to choose who inherits from them (sometimes for tax planning purposes) or because they have a complex estate which they would like settled speedily after death. When someone dies then they will either have appointed an executor to their estate through a will or, if not, a court will appoint one. An executor is the person responsible for gathering the deceased’s assets and distributing them to the people entitled to them. They can only do this, however, after getting “confirmation” or authority from the Sheriff Court. The tax implications of death are also an important part of Succession Law. On death, if the total value of a person’s estate is over £325,000 then anything above is charged at a rate of 40% Inheritance Tax (check www.hmrc.gov.uk/rates/iht-thresholds.htm for up-to-date thresholds). Wills are often used as tools for tax planning purposes due to the exemptions and discounts available under Inheritance Tax legislation. How do I draft a will? Do I need a solicitor to draft a will? How expensive is it to draft a will? Can a cohabitant make a claim on an estate? Can I write people out of my will? Can I refuse an inheritance? Can you vary a will once somebody has died? What happens to my estate directly after my death? Do I need to consult a solicitor to wind up my estate? What are the tax implications on death? A will is a declaration of intent. It is a document which, when drafted to meet certain minimum standards, details what should happen to the estate of the person who had it drafted. Drafting a will is surprisingly easy as long as it is not a self-proving will (described below). You can draft a will without a solicitor, although it is not recommended. A will must be in writing but does not need to be written on paper. A will can be written on a napkin, for example. Nor does Scots Law require any specific kind of wording. Scots Law has, since 1995, distinguished between wills which are merely valid and wills which are self-proving. If it is necessary for someone to prove that a will is the will of a deceased person in court, it is merely valid. If there is no need to go to court, it is self-proving. A self-proving will needs to meet certain extra standards of drafting (see below). It is not recommended to use a ‘will-drafting kit’ bought from your local supermarket or high street shop. These are usually based on English Law and may, even if compatible with Scots Law, result in a merely valid, crudely drafted will, which doesn’t take into account the complexities of your estate. The document must appear to have been subscribed or signed at the end by the person making the will. They must sign each separate sheet (if there are multiple pages), but not necessarily at the end of the page. The will must be witnessed by at least one other person. This person must know the person making the will, be over 16 years of age and be of a sound mind (mentally capable of acting as a witness). The will must either be signed in the presence of the witness or the signature acknowledge by witness. The document must provide the name and address of the witness. Do I Need to See a Solicitor to Draft a Will? No, you can draft a will without a solicitor. There is no specific wording required and a will does not need to be written on paper. However, if you wish to limit any chance of your beneficiaries disputing your estate at court then it makes sense to seek the advice of a solicitor. Wills are fairly inexpensive but the fees charged can vary from firm to firm. It also depends on how complex your estate is and the time it takes for a solicitor to draft it as a result. However, you may find that your local firm operates a scheme where they offer to draft a will for free when you use them for a different purpose, such as buying and selling your house. There are also organisations, such as Will Aid, which for one month each year let you have a will drafted by a solicitor and your fee is donated to charity instead. An executor is the person responsible for gathering the deceased’s assets and distributing them to those entitled to them (the beneficiaries). They can either by nominated in the deceased’s will or by the Sheriff Court. If they are nominated through a will, then it is usually wise to appoint an alternative in case this person passes away before the deceased does. The majority of people die without a will and this can lead to complications for those who are to inherit, or who think they should inherit. Your estate must clear your unpaid debts before it can be divided between those entitled to it under the Succession Act. Some debts need to be paid within six months after death, while others can be paid after six months. The order debts must be paid in is: expenses where the estate is bankrupt, funeral expenses, secured debts (where the creditor holds a security over the estate), preferred debts (taxes due 12 months before death, employees’ wages) and then ordinary debts (which are neither secured nor preferred). Before any other sum of money is paid, your spouse or civil partner (if you have one) has various ‘prior rights’. These include the right to your house, if you have one, the right to furniture up the value of £29,000 and the right to a sum of money. The entitlement to a lump sum can amount to £50,000 where there is surviving children and £89,000 where there is not. This sum of money is satisfied from both the value of the house and your moveable assets equally. If, after payment of prior rights, there is money left over, then this will be distributed according to the rules on ‘legal rights’. Legal rights are taken solely from your moveable estate and are divided into three. First, your spouse is entitled to either a half share or a third share, depending on whether you have surviving children from the marriage. Secondly, any surviving children are entitled to either a half share or a third share, depending on whether you have a surviving spouse. If there are multiple children, then they must share this sum between them equally. In addition, if a child dies before you, then that child’s own children can inherit in their place and, again, if there are multiple children, they must share their parent’s entitlement equally. The law does not take into consideration if a child’s parents are unmarried or if the child is adopted. The final third or half, depending on whether there is both a surviving spouse and children, is what is called the ‘free estate’. The free estate is distributed according to a list set down by the Succession Act. The list favours the children and is as follows: children, parents and siblings, siblings (if there are no surviving parents), parents (if there are no surviving siblings), spouse, uncles and aunts, grandparents, grandparents’ siblings and then so on. Can a Cohabitant Make a Claim on the Estate? Since 2006, if you are cohabiting prior to death then your partner can apply to the court within six months of your death to ask for payment of a sum of money from your estate or the transfer of an item of property. Before the court makes an order, it will take account of such things as the size of your estate and any benefits your partner has received on your death. Usually, drafting a will gives you the freedom to decide exactly who will inherit your estate and how much they will receive. In Scotland, however, if you do not adequately provide for your spouse or children, they can decide to take their legal rights, which means they can each claim for a third or half of your moveable estate. It is the executor’s duty to inform your surviving spouse and children of these rights upon your death. Most people choose not to take their legal rights if the deceased’s estate has already adequately provided for them. This is a key difference between Scottish and English Succession Law. In England, there are certain classes of people which the law says have a claim on your estate, but they must go to court to claim their entitlement (which they may not get). Yes, you do not have to accept an inheritance from someone’s estate. If the person has a will then any refused inheritance will be dealt with by the ‘residue’ clause (the clause which says what will happen to anything left over in the estate). If that person does not have a will, then it will fall into the free estate, where it will go to whoever is first on the list detailed in the Succession Act. Can a Will be Altered after Someone has Died? Yes, this can be agreed between the people who are entitled to somebody’s estate. The deceased may not have updated their will or may not have made a will. In those circumstances, those entitled under the Succession Act may decide their entitlement between themselves. It is done using a Deed of Variation and can be drafted by a solicitor. It is often entered into for tax reasons, such as to avoid Inheritance Tax on the estate or where a tax discount has been identified which could be applied to certain assets. The executor is responsible for gathering and dividing assets between those entitled to them either under the will or in the order specified in the Succession Act. The executor must obtain ‘confirmation’ or authority from the Sheriff Court to administer the deceased’s estate. Executors are either appointed through a will or by a court. 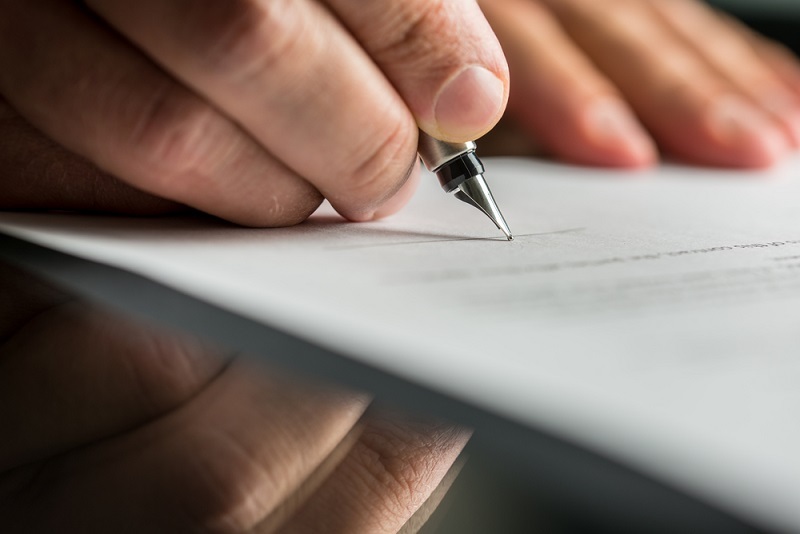 A will can appoint the same person as both an executor and a beneficiary, and the executor is not entitled to payment unless the will states it. The executor is liable for the deceased’s estate as the deceased was liable for it in life, but his personal liability is usually limited to the value of the estate. If an executor is not appointed through a will, one must be appointed by a court instead. If there are several candidates, then the Succession Act gives an order of preference. Most significantly, the spouse is the first preference where they inherit the whole estate from their prior rights. If the estate exceeds prior rights, then the spouse has equal rights with those who inherit under the free estate, which favours children. To be appointed as executor (if there is no will or if the chosen executors in the will have died), the applicant should contact the nearest Sheriff Court to where the deceased lived. Where an executor is appointed by a court and is not a surviving spouse who inherits the whole estate from their prior rights, the executor has to provide a guarantee (called a ‘Bond of Caution’) that they will perform their duties and not embezzle the estate. An insurance company will normally supply the bond. It must be signed by all executors and sent to the insurance company on completion. The executor can only apply for confirmation once this is done. Once an executor is appointed and has gathered together the assets of the deceased, they must get ‘confirmation’ from the Sheriff Court. This gives them the authority to administer the deceased’s estate. As part of the confirmation process, the executor completes an inventory of the estate and usually obtains certificates of confirmation for individual items in the inventory. The executor then sends the confirmation or certificates to the person or organisation who possesses or registers the item. The executor can then get it endorsed in their name, cashed, sold or get authority to transfer it to a beneficiary. Only once confirmation has been granted can the executor distribute the estate to those entitled. For small estates, which are currently classified as £36,000 or less, there is an optional simplified confirmation procedure where the Clerk at the Sheriff Court can administer an oath and complete an inventory on the applicant’s behalf; but the Bond of Caution is still required. Do I Need to Consult a Solicitor to Wind up an Estate? If it is a small estate, solicitors may decline to wind it up because the fees may substantially reduce its value. Otherwise, it is recommended to use a solicitor to wind up an estate. The solicitor will help gather the assets, complete the forms for confirmation and pay the tax, if required. The executor is also responsible for filing tax returns. These must be submitted to the Sheriff Court at the same time as the forms for confirmation. If tax is payable, then the executor must fill in the HMRC form IHT400. If tax is not payable, then they must fill in the form C5. A solicitor should be able to advise on whether tax is payable on the estate. You can transfer £3,000 in any tax year without charge. If you do not transfer a significant sum in one year, you can carry over this exemption into another tax year and transfer £6,000 in one tax year without charge. You can make small gifts of up to £250 to as many people as you like in any tax year. You can make wedding gifts of £5,000 as a parent, £2,500 as a grandparent and £1,000 if you are not a parent or grandparent. Any regular gifts made out of your after-tax income are exempt, such as monthly payments to someone, birthday gifts and insurance premiums. Most importantly, estates are exempt from Inheritance Tax where the sole beneficiaries are either a spouse or a registered charity. Spouses can also transfer to each other their entitlement to not be charged Inheritance Tax up to a limit of £325,000. This means that if one of them gifts their entire estate to their spouse, the estate will not be charged Inheritance Tax up to a limit of £650,000 when the second spouse dies. There are also some assets which are eligible for a “relief” from Inheritance Tax. For example, Business Relief enables you to transfer business assets free from Inheritance Tax. Likewise, the same principle applies to agricultural assets for Agricultural Relief. If you wish to take full advantage of these reliefs, it is recommended you consult a solicitor or financial advisor. Capital Gains Tax is the tax you pay on the profit when you sell or give something away. It is charged at 18 or 28% depending on the total amount of your taxable income and gains. You have an annual allowance of £10,600 where you will not be charged. It is relevant for succession-purposes because if any amount remains unpaid in the year leading up to death then the executor will be liable to pay it. In terms of Income Tax, the executor must inform HMRC of the death and submit an Income Tax return for the period of 6 April up to the date of death. If tax is due, then it is a debt of the estate. In addition, any income accrued by the executor during the administration process is also taxable and is charged at the basic rate of 20%. The executor pays the income to the beneficiaries net of tax.